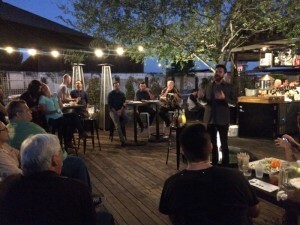 July was a special treat, we were hosted by the wonderful Ecco Pizza Shoppe at the Anaheim Packing District. 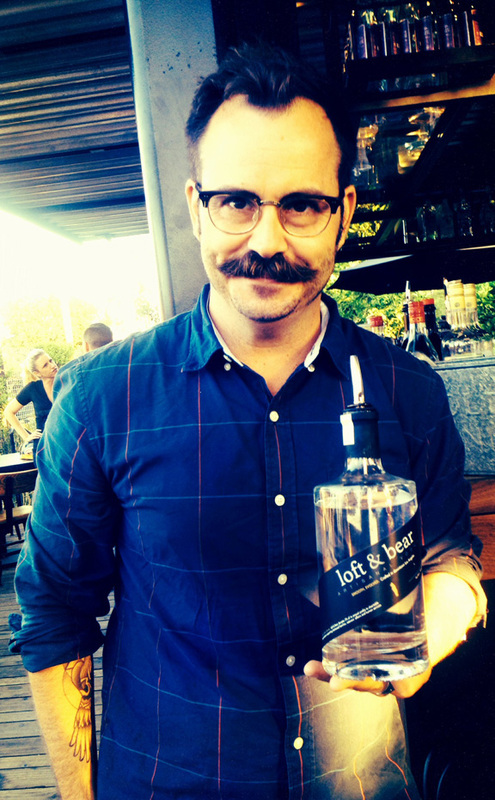 We tasted and got the cool story of Loft & Bear Artisanal Vodka. This award-winning vodka is straight out of downtown LA and it’s distiller is one rad dude. Brand representative Natasha Valdes and brand mixologist Karl Steuck provided some wonderful drinks for the group, recipes are below! 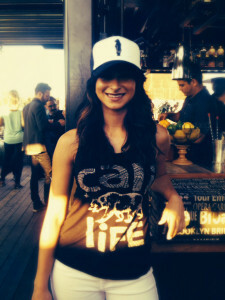 The uber-cool Ms. Natasha Valdes! A big THANK YOU to the Ecco team for tasty cocktails and wonderful food. OCBC member, Joel Caruso then dazzled the group with an awesome education on Limoncello. He is the master of house-infusions for cellos, nocinos & more! This entry was posted on September 27, 2015 at 7:50 pm and is filed under Newsletters . You can follow any responses to this entry through the RSS 2.0 feed You can leave a response, or trackback from your own site.